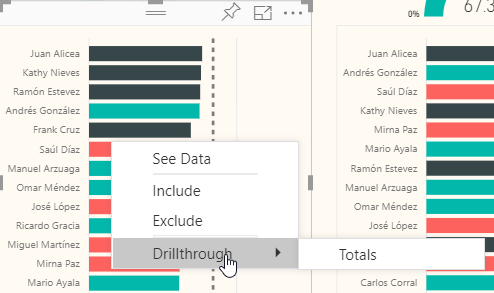 [8 September 2017] This feature is now part of the September release of Power BI Desktop. 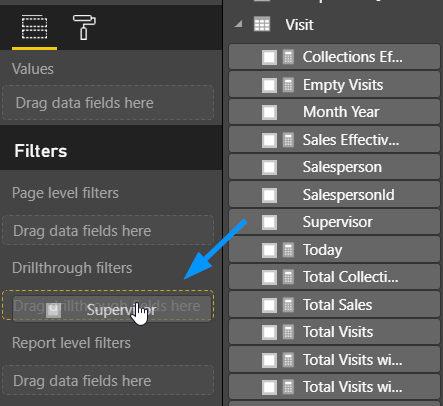 A recent addition in the Power BI Service is the ability to define “Drillthrough Filters” in a report page. 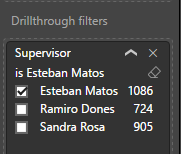 You can think of these as dataset fields that serve as parameters to the report page. 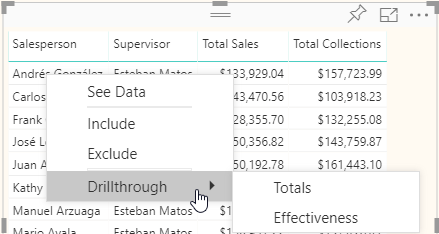 Let’s call such a page a “drillthrough page.” You can navigate to a drillthrough page from another page by right-clicking on a visual that includes one of the drillthrough fields. For example, I have a report about sales and collections that includes salespeople and their supervisors. One of the report’s pages, called Totals, breaks down sales and collections by salesperson and allows filtering by month/year and supervisor. 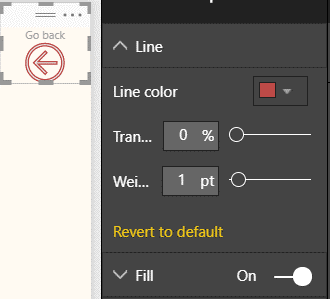 In fact, this option is now available for all shape visuals and clicking on it will get you back to the previous page, regardless of drill through.